All controls, ports, microphone, and camera are easily accessable. Perfect for Facetime! The keys feature extra large font for increased visibility. 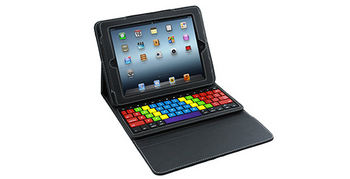 Includes all the function keys you would need with an iPad such as, Home, Volume, Search, Internet and more! The soft faux leather case closes securely with a magnetic clasp. The iPad will rest securely with its built in, collapsible stand that can be angled for optimal viewing. 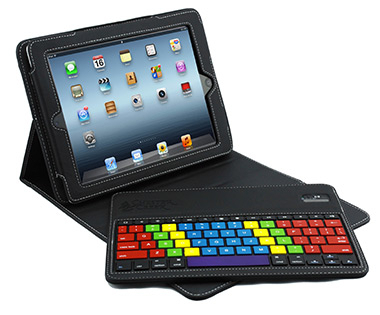 The ChesterKeys&Case is compatible with iPad versions 2,3 and 4.